There are over 1 billion websites on the world wide web today. Daily 30,000 websites are hacked by the hackers. So, you should check your website for possible vulnerabilities, before loss any data! In this service I will check your website for possible vulnerabilities and will provide you solution to update your website. N.B. 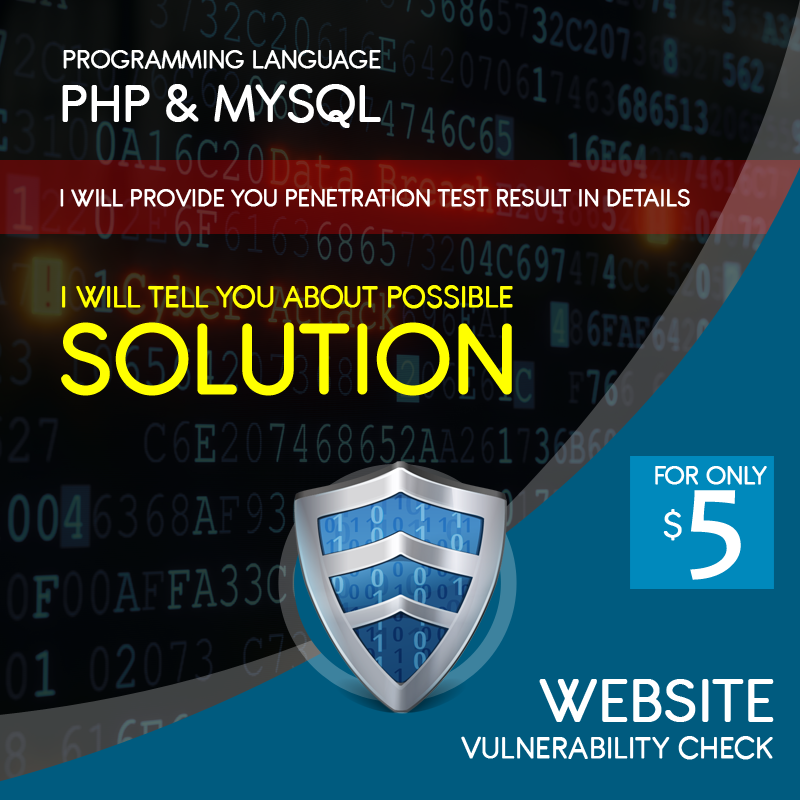 I will test your website with various hacking method and for this reason you must be the owner of the website and have full permission to do this test. The vulnerability test does not guarantee​ that your website is un-hackable as cyber space is so vast and expanding, that new attacks and vulnerabilities are released daily.